Last month I became the proud owner of a Leatherman Wave. Because the lanyard ring it has is too well hidden, I ended up on Youtube to figure out how to open it (The answer). 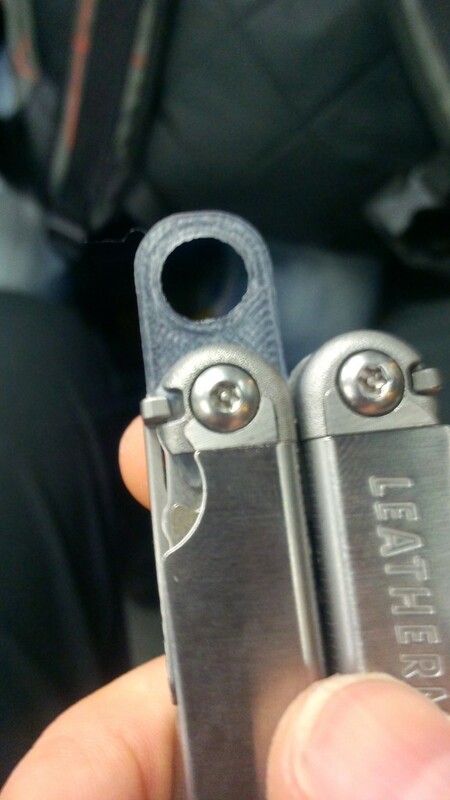 There I also came across some cool mods for Leatherman tools, which inspired me to think beyond the tool as how it comes by default. Two accessories that are available for the Wave (and other models) are the quick-release lanyard ring and removable pocket clip. 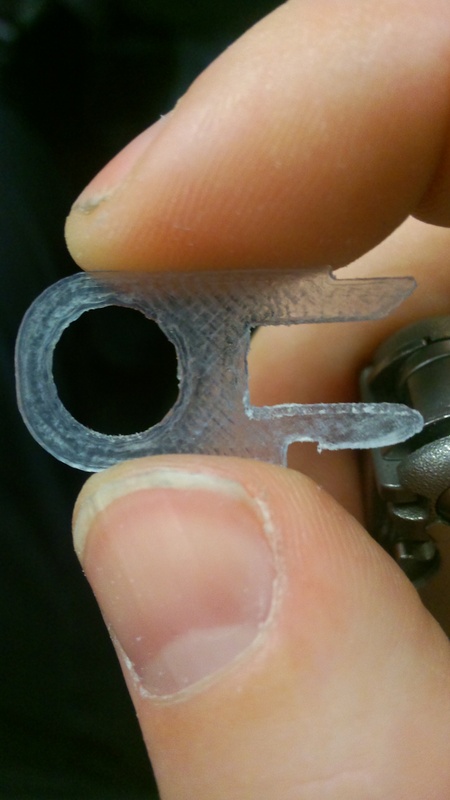 Now I tried to re-create this as 3D model and print one myself with a 3D printer. 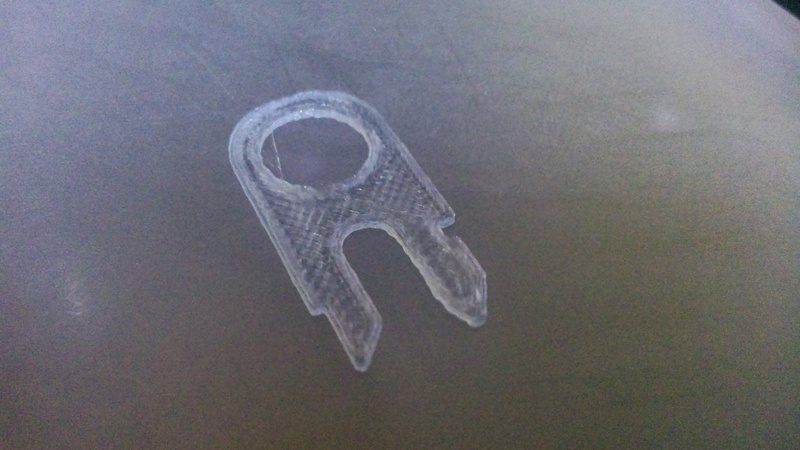 The model is publicly available on Tinkercad. The next step will be to update the model with better measurements, and improve its strength. Because so far it seems a bit too thin to hold much force. 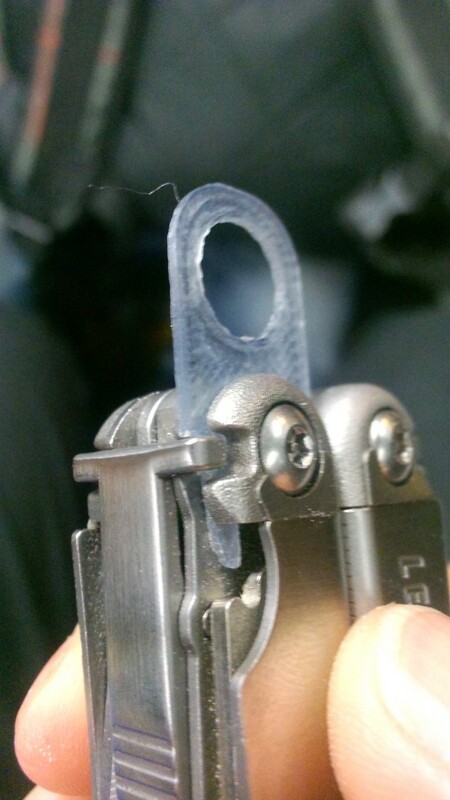 The idea is to later invent other tools with this form on it so they can be attached to the Leatherman.